Going into surgery is something that causes anxiety for many people. 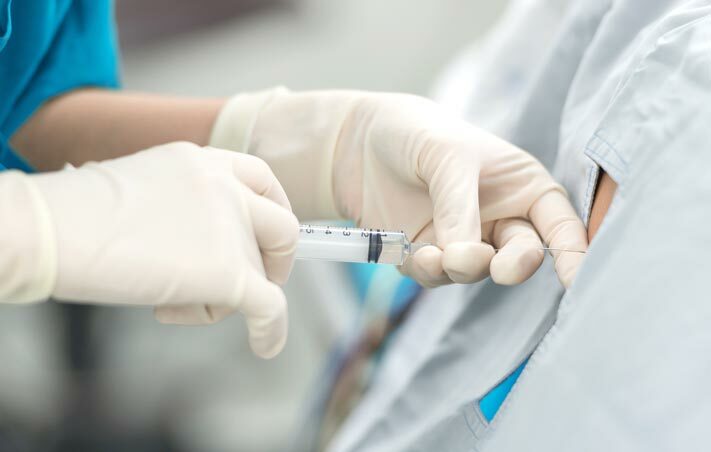 In many cases, patients are more nervous about the anesthesia they’ll receive than they are about the surgical procedure itself. At Anesthesia Associates of Rock Hill, we provide comfort, reassurance, and education to our patients so they can feel confident and focus on healing. The physicians and staff at our practice have prioritized patient care ever since we opened in 1981. Over those 37 years, we’ve expanded our practice to meet the needs of the medical community in Rock Hill and surrounding areas of South Carolina and North Carolina. We’re proud to be the exclusive anesthesia provider for Piedmont Medical Center and Carolina Surgical Center. Why are we trusted by so many medical facilities? That’s easy—we put our patients first. For every procedure we handle, there’s an entire medical team making sure you’re safe and comfortable. From your anesthesiologist to your anesthetist and your pain nurse, we’ll use our knowledge and experience to choose the best approach for your needs. Our practice works with your surgeon or doctor and reviews your records in great detail. At every step, your health and safety are our top priorities. If you work for a hospital, surgical centers, or doctor’s office that uses sedation or anesthesia on a local, regional, or general basis, consider working with our practice for anesthesia services. We offer support for cardiac procedures, neurosurgery, obstetric care, and outpatient surgery. We also treat trauma patients and offer pain management services. Additionally, we offer pediatric anesthesia for young patients. We’re also looking for new team members to join our practice. Rock Hill is a great place to live, work, and build your career in anesthesiology. Take a look around our site, contact our office, and let us show you why we’re the practice of choice for anesthesiologists, anesthetists, and pain nurses in the Carolinas. Anesthesia Associates of Rock Hill serves hospitals, surgical centers, and doctor's offices in South Carolina and North Carolina. Contact our office to learn more about our anesthesia services and careers with our practice. We’re looking for dedicated physicians and staff to join our practice. LEARN ABOUT OUR CURRENT OPPORTUNITIES and why Rock Hill, SC is such a great place to live and work.